China Eastern's busy Sydney-Shanghai route is set for a stunning upgrade as the airline swings its Airbus A350 into Aussie skies. As of March 31, the SkyTeam member's daily flight MU561/MU562 service will shift from an older Airbus A330 to a factory-fresh A350. 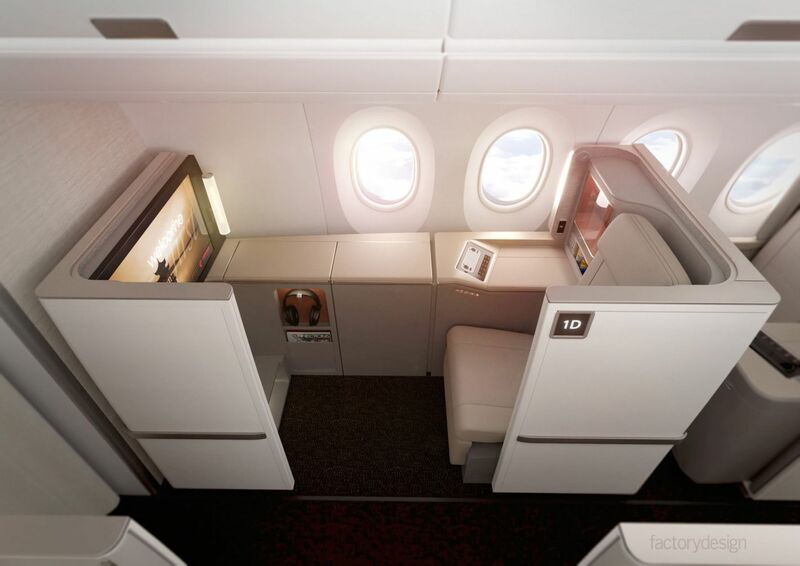 Business travellers will be the big winners, as the A350 spots an impressive business class cabin where sliding privacy doors convert seats into suites – see our original story below for full details. 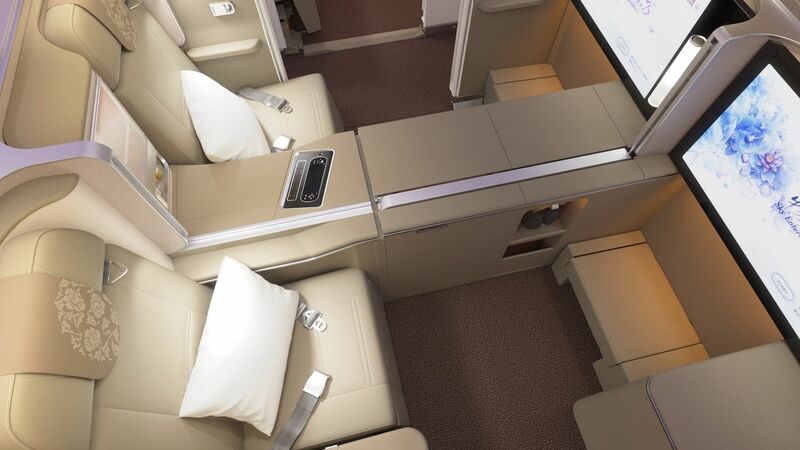 The seats themselves are exceptionally well-appointed, offering plenty of personal space plus direct aisle access for every passenger – and of course, a fully lie-flat bed for napping on either leg of the 10½ hour trip. 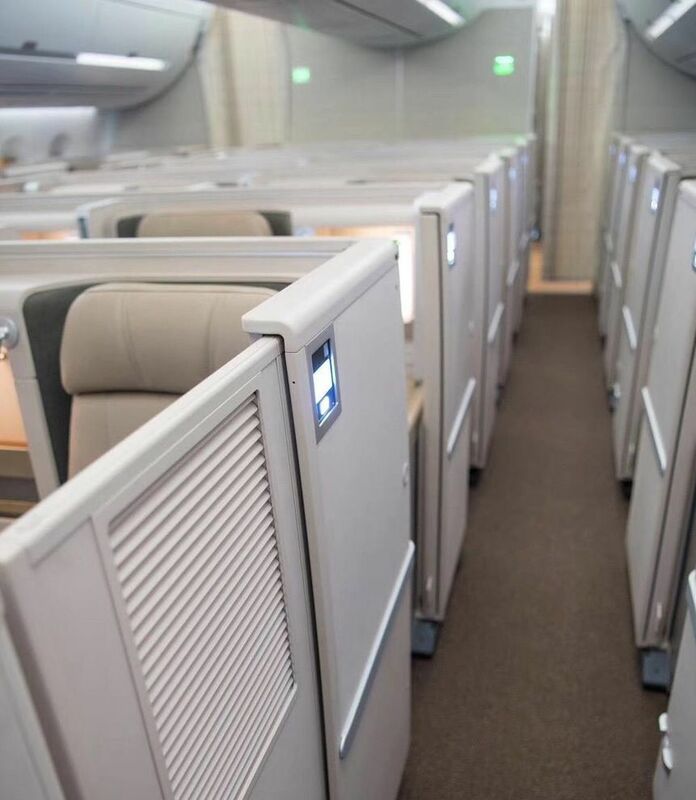 This is the same seating as on China Eastern's Boeing 787 Dreamliners, which will begin flying between Melbourne and Shanghai on February 1. 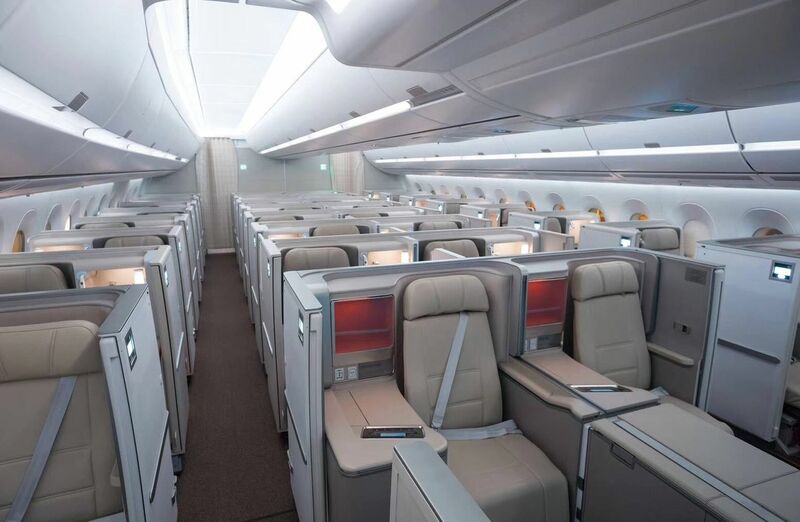 PREVIOUS | China Eastern is joining the growing number of airlines adding private business class suites to its flagship jets, and its newest suite-equipped Airbus A350 is bound for Sydney in 2019. The Shanghai-hubbed airline took delivery of the first of 20 new A350s this week, with two more due by year's end and the rest stretching through to 2022 – and China Eastern tells Australian Business Traveller that its Sydney-Shanghai route will feature an Airbus A350 in 2019. 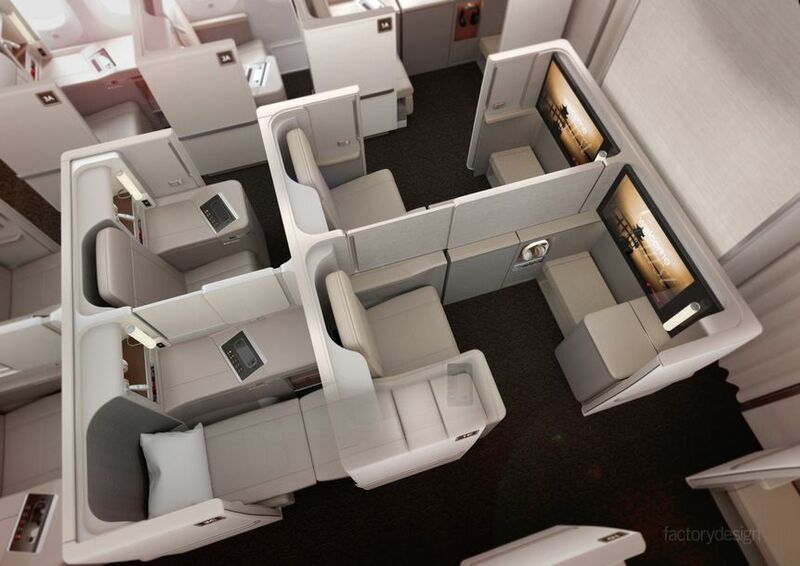 Each of the 40 business class seats are framed by high walls and a sliding privacy door. 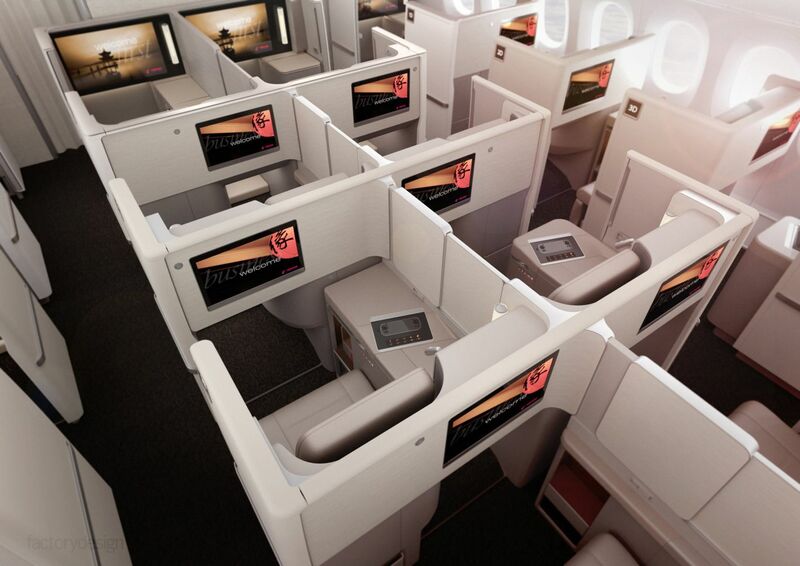 The seats themselves are based on the Vantage XL platform from Thompson Aero, which is already flying in various forms as the Qantas Boeing 787 Business Suite and Delta Air Line's A350 Delta One suite, and could also find itself at the pointy end of Delta's forthcoming Airbus A330neo fleet. 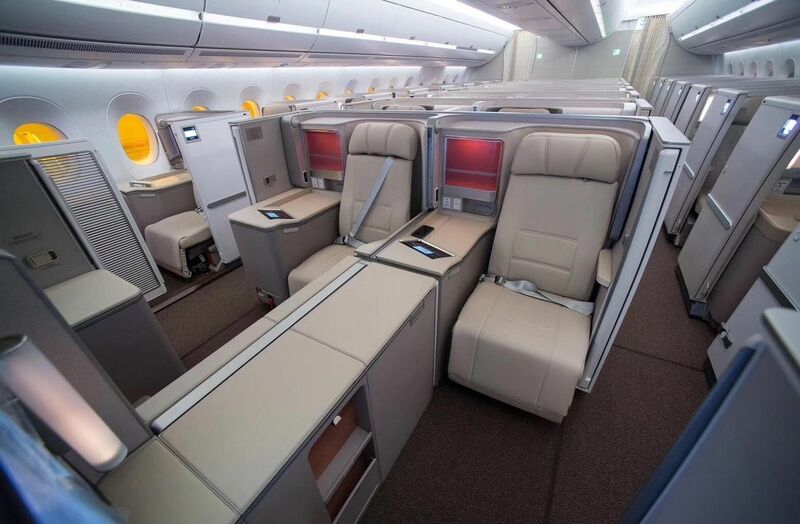 For China Eastern's A350, there's an additional business suite twist: four seats at the very front row of the business class cabin adopt the enhanced Vantage First design, similar in some ways to the bespoke version of that seat created for Malaysia Airlines' A350 first class. 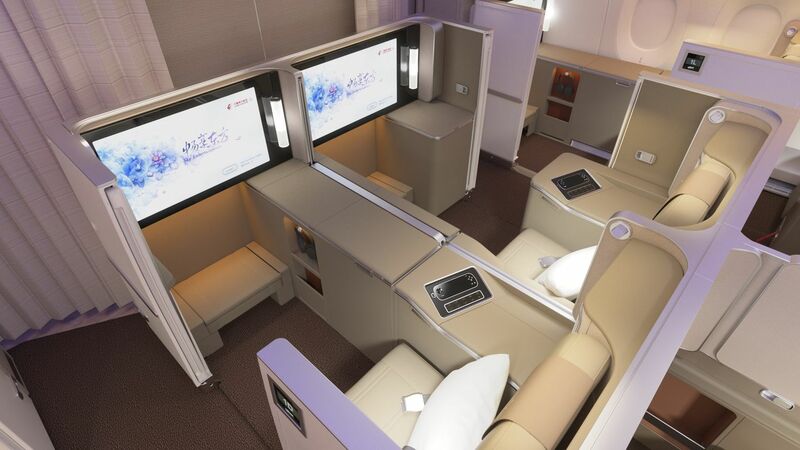 China Eastern described these four berths as 'super premium' suites with a mini-bar and 32 inch touchscreen displays, and it's expected they will sell with a suitable premium mark-up. Additionally, the middle seats in this front row are being marketed as an ‘Air Living Room’ where up to four travellers can share the same space. 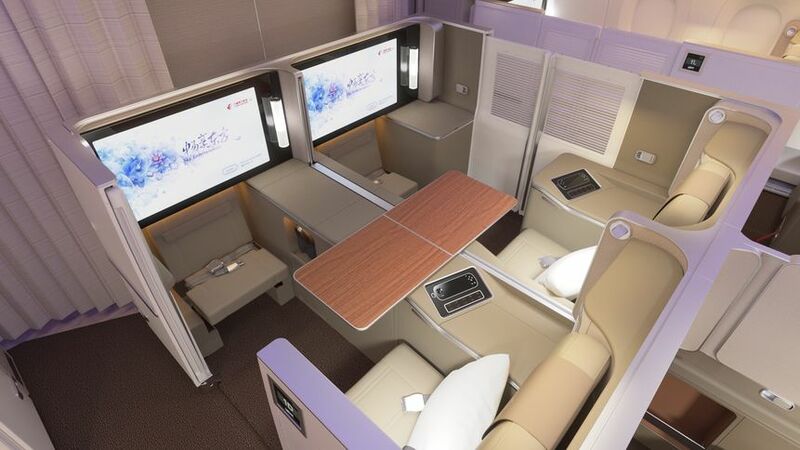 No doubt inspired by Qatar Airways' Qsuites 'quads', China Eastern says these primo business class bunks "allow flight crew to reshape the space into a community area that up to four people can comfortably use for a business meeting or family gathering." ... and then lifting them up to bring them together into a single wide surface. Finally, the top of each suite's ottoman is flipped to turn it into a padded seatbelt-equipped companion bench. High-tech touches including broadband WiFi, a tap-to-buy NFC panel for inflight shopping with your smartphone or credit card, and Bluetooth headphones. No doubt about it; outstanding hardware. Now the service, food and overall soft product needs to be upgraded to make it a more consistent overall package. I’d be really annoyed to have to listen to a board meeting while flying. Nor if you had shares in their competitor! Yes, I couldn't think of anything worse. Not that I've anything against alcohol, but the bonhomie fuelled by free (practically unlimited) booze would go to extremes. Noisy and disruptive. Booked on an A330 from PVG to SYD in march so my fingers are crossed the aircraft is changed to an A350! I had a lucky aircraft upgrade a few months ago with MH. I don’t get the point of the doors. The “high walls” described in the article appear to be about waist height from the photos. Even with the doors closed, everyone could comfortably see inside your “suite”. They offer no privacy whatsoever so what is the point? Aren’t they just a marketing gimmick? That's correct, crew must have line of sight to all passengers for take-off and landing, and as a general rule this makes sense. I think everyone likes the ideas of doors but some people will leave them open once the novelty wears off. I don't like the idea of doors in such a small space. I want to be able to see the window (preferably open). Philippine Airlines 1-2-1 suites (not mentioned in the article) are also Thompson Vantage XL and are good enough, yet they thankfully don't have doors. 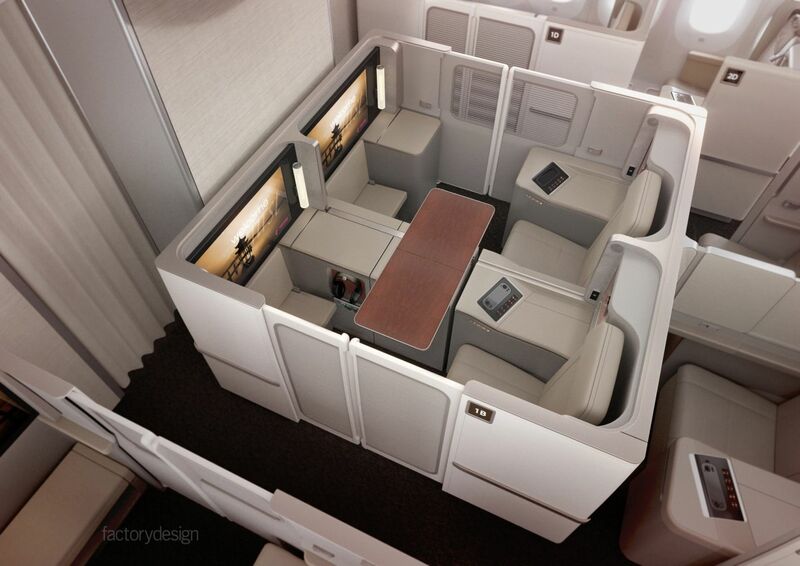 That can't be right when so many enclosed first class seats/suites have much higher walls that prevent line of sight. Depends who's regs the airline is operating under. For example, CASA don't even allow for the doors at all, where as It's the opposite end of the scale for the ME3. No, when you laying down it provides a nice sense of privacy at your eye level. 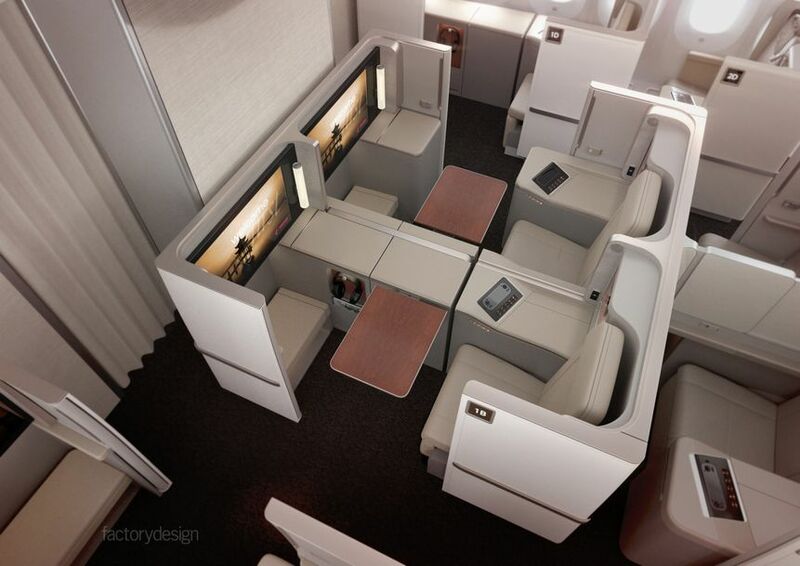 Now that's "mini first class" Mr Joyce.....not your 787 J set up which is standard J class these days. Some relative short flights on the ad map for the "LongRangeLeader." Crew training I guess. Frightened at the thought of four business execs using the conference work space for a meeting on an overnight long haul flight. The stuff of nightmares! 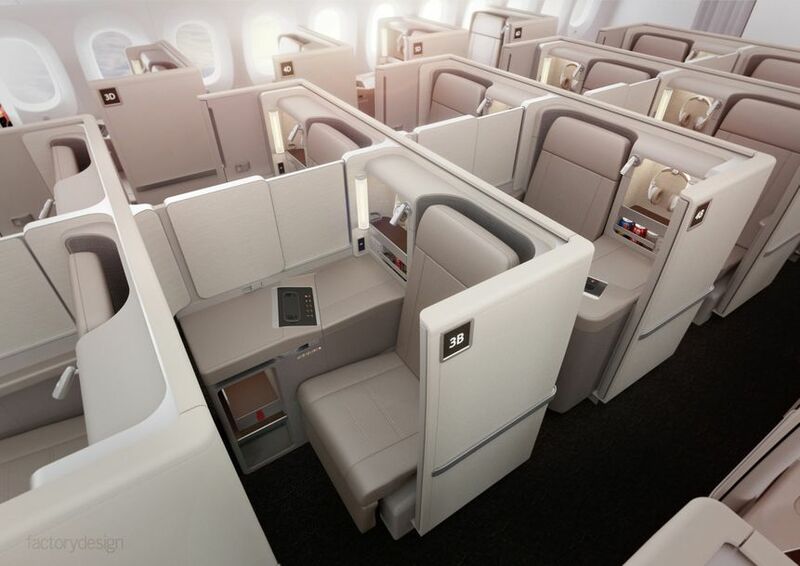 I can imagine BA feeling a little foolish reading your article and looking at their new first class seat they proudly showed you recently. China Eastern providing a four across business class suite ie has a door not an open business class seat branded as a first class "suite"
Thank goodness for the pop of red, otherwise that cabin is all bland. 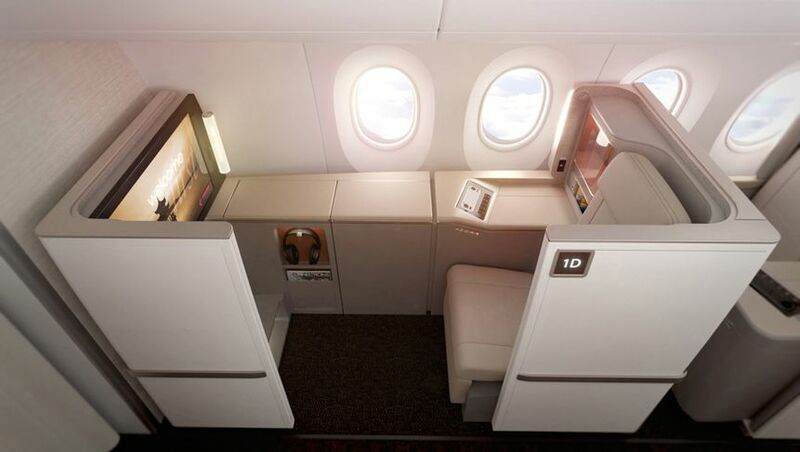 Personally I'm not that fussed about doors, you get enough privacy both when sitting and sleeping by the wings and cocoon, and I think they detract from the overall cabin look. But obviously others like the extra privacy. Be interesting to see how much extra MU thinks it can get for the super premium seats. These cabins are getting to look more and more like office cubicles! While it codeshares with QF, is there some resistance among Australians who are not of mainland Chinese origin to flying MU, CZ or AC? (I'm omitting CI as that's Taiwanese). KK, any source for that information? I'm flying on MU561/562 in April so it'll be good to be on the newer metal. Looks like they're switching over from the 31st of March. Looking for 2 x J/F SYD/PVG using QFF points for Aug. 2019 only see A330 in 1st! no A350 at all, why? Because the A350 is configured for Business and Eco only. Qantas awards is showing F on A330-200 July 2019 very odd. Any chance the A330 gets swung on to the proposed Perth-Shanghai route? Yer another "window" seat, where the seat is next to the asile - not the window! Privacy is enhanced by being away from the passing traffic in the isle. If like me you prefer to look out of the window its much easier if you are seated next to it. I used to think sliding doors would be great but fling recently in SQ where to seats are slightly staggered I felt very private anyway. David, is the A350 a certainty on these flights? just checked there site for flights in Nov. still showing the 330. Booked two in F SYD/PVG for August still showing A330? Mat...Chinese airlines have a habit of changing their aircraft around..pending where they are needed..they probably put it on the pvg to Syd route due to high demand and peak season. 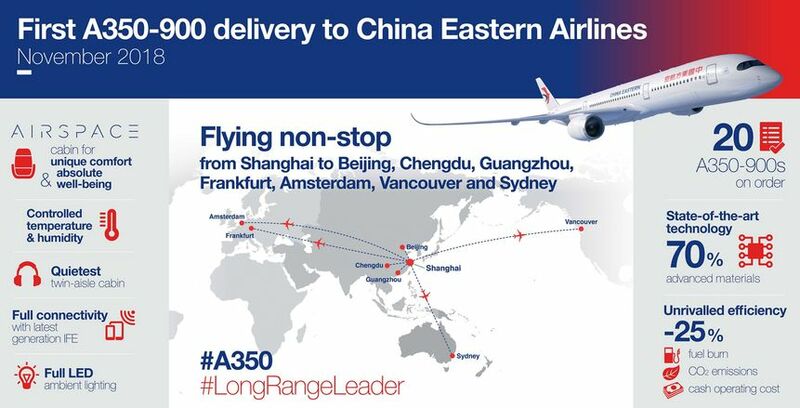 Comment on "China Eastern Airbus A350 to fly Sydney-Shanghai from March 31"